From June 17 to June 22, 2013, Rozalie Hirs is featured poet at the Worlds Literature Festival & Salon in Norwich, England. 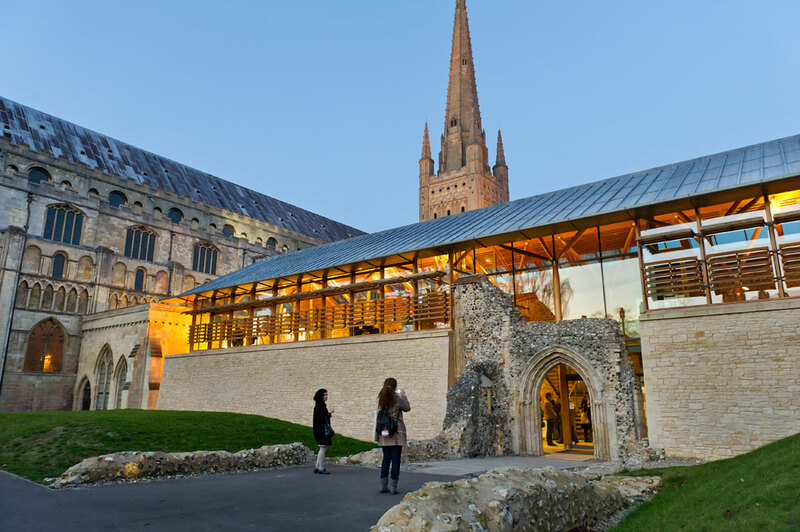 The festival is organized by the Norwich Writers’ Centre and the University of East Anglia. During the week, guests engage in private discussions and give public readings at the Cathedral Hostry, Norwich. The full list of featured poets can be found here. 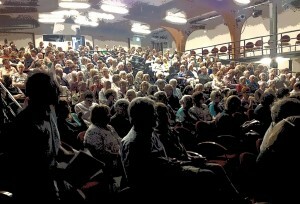 On June 10, 2013, for the occasion of Poetry on the Road, Rozalie Hirs gives a reading together with Bas Böttcher, Olga Martynova, Elke Schmitter, Oleg Jurjew, Aurélia Lassaque and Karin Schimke of a number of poems and translations in the hall of the Kippenberg Gymnasium, Bremen. On June 8, 2013, for the occasion of Poetry on the Road, Rozalie Hirs will present her musical composition Bridge of Babel (2009) and read a number of poems, among which ‘Stamboom’, ‘Family Tree’ (translation by Ko Kooman) and ‘Stammbaum’ (translation by the author), at the Theater am Leibnizplatz/ Shakespeare Company, Bremen. 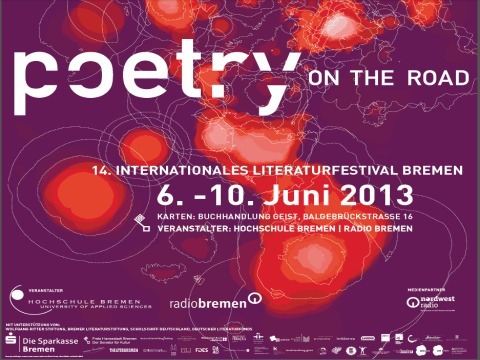 The curators for the Poetry on the Road festival are Regina Dyck and Michael Augustin, Radio Bremen. 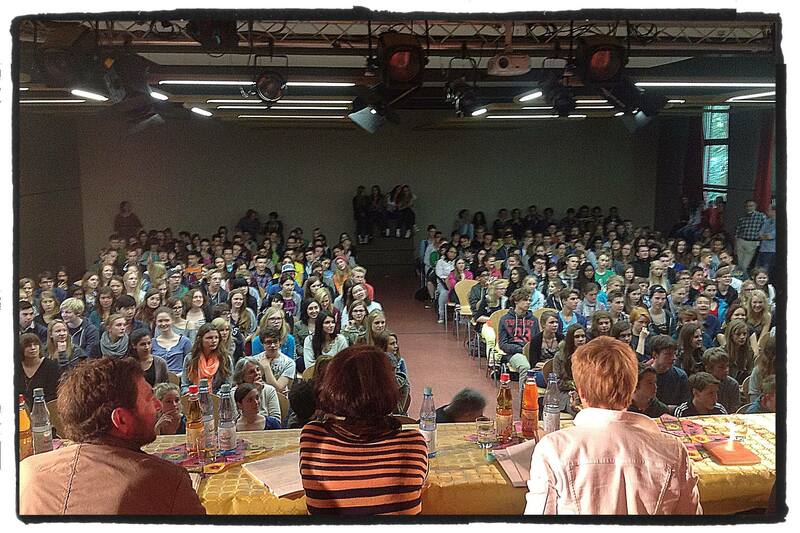 On June 7, 2013, from 10:00 to 14:00, Rozalie Hirs is giving a workshop Creative Writing to students of the Bremer Gymnasium, Bremen as part of the Poetry on the Road festival. Introduction by Stephanie Schaefers, Workshop Literatur. You can find a report of the workshop here, or follow this link to read a selection of poems that were created as part of the workshop. From June 6 to 10, 2013, Rozalie Hirs is featured author of the international poetry festival, Poetry on the Road, Bremen, giving three performances. 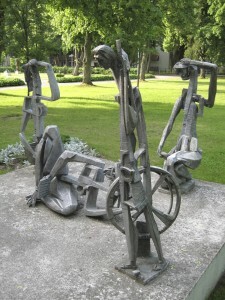 Other poets include Bas Böttcher, Jorge Drexler, Lars Gustafsson, Olga Martynova, Wolf Biermann, Antjie Krog, Bohdan Piasecki, Elke Schmitter, Günter Kunert, Jeffrey Yang, Mary O’Malley, Oleg Jurjew, Tomas Venclova, Aurélia Lassaque, Cole Swensen, Erwin Messmer, Hava Pinhas-Cohen, Karin Schimke, Menna Elfyn, Saut Situmorang. The festival is curated by Regina Dyck and Michael Augustin. Download the program of Poetry on the Road 2013 or information about the poets in PDF form [in German]. On June 1, 2013, at 16:00, Rozalie Hirs interprets her musical composition Bridge of Babel (2009), as well as the poems Stamboom and Family Tree (translation by Ko Kooman) as part of Poezijos Pavasaris/ Poetry Spring 2013, in the Ramybé Cultural Center, Vytauto Gatvé 35, Palanga, Lithuania. The festival is organized by the Lithuanian Association for Writers. The festival curator is Antanas Jonynas. The photo shows sculptures by the uncle of Antanas Jonynas, permanently on display just around the corner from the Cultural Centre in the resort town Palangas in a small park.